Ellie is 4 years old, and she's starting to tell coherent stories that she makes up on her own. We play a lot of pretend. I'm usually some superhero and she's a princess. Now, that princess usually has some kind of super power, so she's somewhat a princess in name only. But it's fun. That playing pretend and storytelling is starting to bleed over into our night time routine, and it's actually teaching me a bit about my own storytelling. A good thing. Not going to complain, even if it was a bit unexpected. I was putting her to bed one night in the last month or so, and she asked for a story. Like I mentioned, she's getting into superheroes. She's not a DC or Marvel girl. If they have a cape or a mask or a cool uniform then she's in. She really seems to like Captain America. So, this night she asked me to tell her how he was born. So I tell her an abbreviated version of the origin story. Steve Rodgers. Scrawny kid in Brooklyn. Experiments. Boom. Captain America. It was a bit more dawn out than that, and in the middle of it she stopped me and said "Dad, this is boring. Add Elsa and Anna." So, I did. Then the other night we are sitting in her room, and she tells me that she's going to tell me a story. It involves princesses (her and her sister) and a castle that I made up a couple of years ago. There's a tall tower, a windy staircase, and any time I tell her these stories their mom is making breakfast in the kitchen. So, her story starts with the princesses waking up and going downstairs for breakfast. Then in the middle of breakfast the evil witch comes and turns her mom into a monster, dad into Captain America, but he's trapped in a closet. She and her sister both get changed into something else that's slipped my mind at the moment. But it was crazy. It made no sense, but she got so into the telling of it that I got wrapped up in the moment. It didn't matter that the logic didn't work. She was excited about it, and I wanted to hear what was next. Now, here's the lesson, and this for me as much as anyone else. Get out of your head when you tell stories. Let the story go where it wants to go. Too often I'll have an idea and then hesitate when it comes time to write it down, either while outlining or drafting. I shouldn't do that. I should let the story go where it wants to go. Let my mind take it to places that may not make a whole lot of sense, because that's where the passion is. That's often where I do my best writing. It's when I've found the flow of the story, and I'm letting it wash around me, not bothering with thoughts of "Does this make sense?" My favorite reading experiences are the ones where you can feel the author's passion for that particular tale. Yes, we all love our books or stories, but you can tell as a reader (at least I think you can) when a writer telling the story with passion. At least I feel like you can. There's more to the reading experience than just getting things from Point A to Point B. I really believe that passion comes from being fully in the story and letting it go where it wants to go. Now, you can't necessarily make illogical jumps or ignore natural laws. But other than that, don't let those ideas that seem too weird or too unexpected die on your mental vine. Put them down. Let them run. See where they take you. You can always call them back in the editing process if you find they didn't work. So, that's it. Storytelling lessons that I learned from my 4 year old. Hope it was helpful for you. It was for me. Thanks, Ellie. Daddy loves you. It feels weird to talk about gifts or talents, to acknowledge that you think you're good at things. At least it does for me. I don't like talking about myself. Not at all. And saying that you think you are gifted in one way or another is definitely talking about yourself. But just because we don't like to talk about it doesn't meant that we don't all have talents. We do. But reading through the Bible the other morning I came across a verse that challenged me, so thought I'd share it here. Faith is, after all, the third F in the tagline up top. "6 For this reason I remind you to FAN INTO FLAME THE GIFT GOD, which is in you through the laying on of my hands. 7 For the Spirit God gave us does not make us timid, but gives us power, love and self-discipline." It's 2 Timothy 1:6-7, and the emphasis there is mine. And I know that how I'm reading it is not necessarily how Paul meant it when he wrote it, but this verse really hit me. "Fan into flame the gift of God." For some reason, fire imagery has come up a lot in my work lately. I'm pretty sure I have some discussion of a fire being whipped into roaring flame in Digi City. And there's definitely similar imagery in the current WIP. So it's certainly something I've been thinking about. So maybe that's why the fanning into flame language struck me as I read. This is kind of how I see the talents thing. When we are being formed God takes out his Holy Measuring Cup and gives us all an equal measure of everything that makes us human — kindness, love, compassion, etc ... Then he looks at each of us individually and gives us a little extra in a few places. Those extra portions are our gifts and talents, and He has an expectation that we will take those and do something with them. That we won't waste them in the service of nothing. Now, I don't think that we have to take those talents and use them specifically for church work or kingdom goals. We can use them in other ways. I do think — and this does feel weird to type — that one of my gifts is written communication. I'm good with the words. Or pretty good. Good enough for someone to pay me for them and for the clients I work with to be happy. Still, I wonder, am I doing all I can with those gifts? I think about it often. Have I fanned the flames? Or am I letting them smolder, eventually to go out? I don't know that I've done all I can. I pray about it. I want to be a success as a writer. I want to use those talents for good things, but am I? I don't know. I'm not sure that anyone will ever feel like they've done everything they could with all they've been given. I guess I'm not alone in these feelings. But I feel like God wants to do more through me. I just don't know how. It's a trust thing in the end. Let Him lead. Follow where you think He's going, knowing that He's not going to take you down a path He hasn't equipped you to walk. Spent the morning working on the WIP. It's a space opera/military piece that I'll share more about later, but I tweeted at the end of my half hour morning write. That's not unusual. I somewhat often recount how the morning went on Twitter. Thought today's little burst of messages was worth sharing here. It's all about logically satisfying plots. I think that this barrage of tweets makes sense as a group. If not, let me know in the comments, and I'll be glad to clarify. Interesting #amwriting morning. Added 854 words to the WIP, sort of. 540 of those were actually pulled from another section of the story. So, I wrote 300 new words, but tweaked and modified the others to make them work here. I'm counting it. Editing is writing. This is the frustrating part of drafting. I had been writing to my outline, but started asking myself the dreaded "why" question. Sure, that makes for a fun story, but is it a logically consistent story? Does it makes sense for the characters to make that decision? Or, why are they doing that that way? Why would they? I had no good answer beyond "it serves my plot for them to do it that way." So, I pivoted. The story is better AND it makes logical sense now. But that means some stuff that I wrote previously will have to be redone. Which is OK. That's part of the process. But there is some stuff from those bits that I really like. I was able to salvage one today. That makes me happy, because, even though we all kill darlings, some of those darlings are harder to kill than others. OK, that's it for today's #amwriting ramblings. I'll check back in with you later, Twitter. Keep your nose clean. Oh, if you're not already following me on Twitter, do that here. There are three things that I really like being. I like being a husband. I like being a writer. And I like being a dad. So, for you on this Father's Day, a dad story. The girls are adorable, as usual. Dad not as much. I mentioned in a previous post that we recently made a quick trip to Kansas City for a family wedding. It was a great trip. Lots of fun. But also lots of time in the car and getting the girls in and out. One of those times I was buckling Ellie in and she was asking about rain. She's asking about rain and weather a lot lately. We have some theories as to why, but we do a lot of calming her when we get thunderstorms (and thunderstorms are a big part of spring in Texas). So we are in the car and she asks me "Why does it rain, daddy?" And I immediately start trying to remember all I can about evaporation and clouds and the water cycle. It's old information learned years ago. It's not in any mental instant recall files that I'm desperately trying to access. Gina is across the seat from me getting Haddie situated, and I am guessing she's sensing my very modest panic. She pipes up with "God's just watering the plants so they can grow big and strong." Ellie says a simple "Oh, God's watering the plants." Sometimes I may make this dad stuff harder than I need too. I'm just thankful that God made kids, at least my two, resilient, funny, loving, and curious enough to ask questions that make me think. Digi City is out now. Plus ... DEALS!!! Today's the big day. 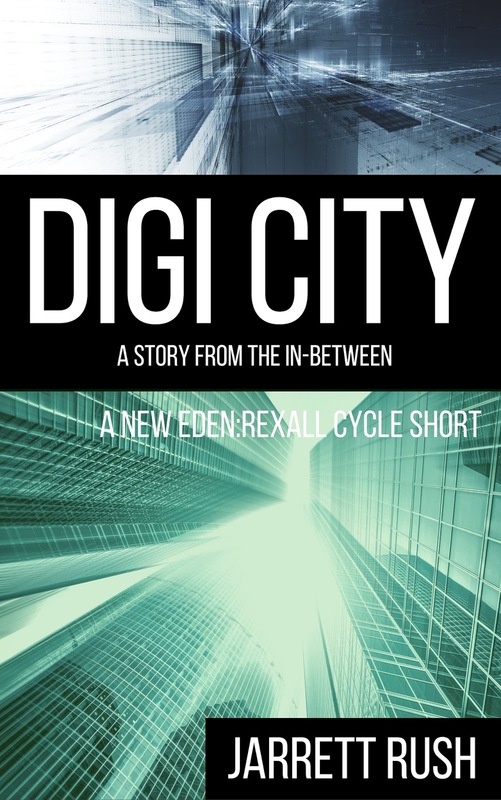 Publication day for Digi City, the latest story out of New Eden, and the first story from what I'm calling the In-between. I hope you've already pre-ordered your copy. If not, it's OK. Go ahead and get a copy here today. It's finally available for immediate download. But that's not all. As a way to celebrate the new release, I've dropped prices on all the other books in the New Eden series. 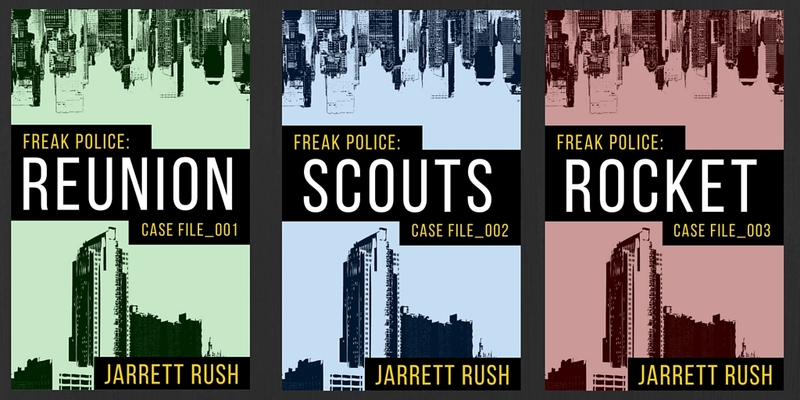 From today until Saturday, you can get Chasing Filthy Lucre for free. That's the series starter at no cost. 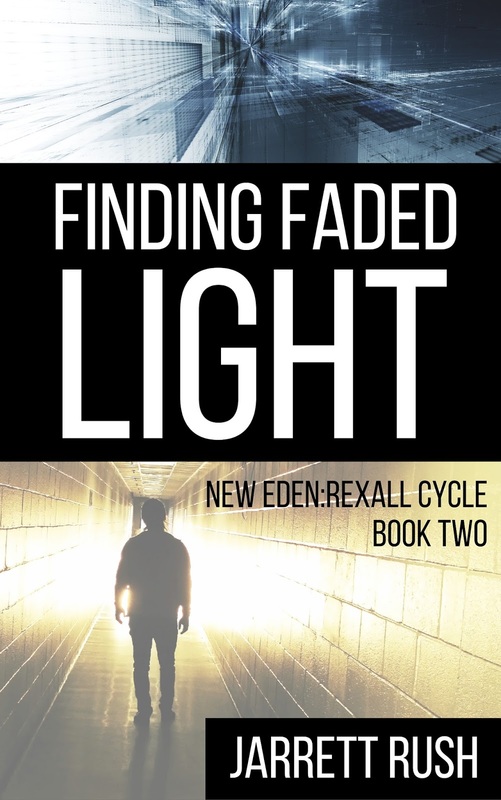 Finding Faded Light is just 99 cents instead of its regular $2.99. That means you can get all three books in the New Eden series for less than $2. Quite the deal if you ask me. And I apologize for how much this sounds like an infomercial. Get your copy of Digi City here. 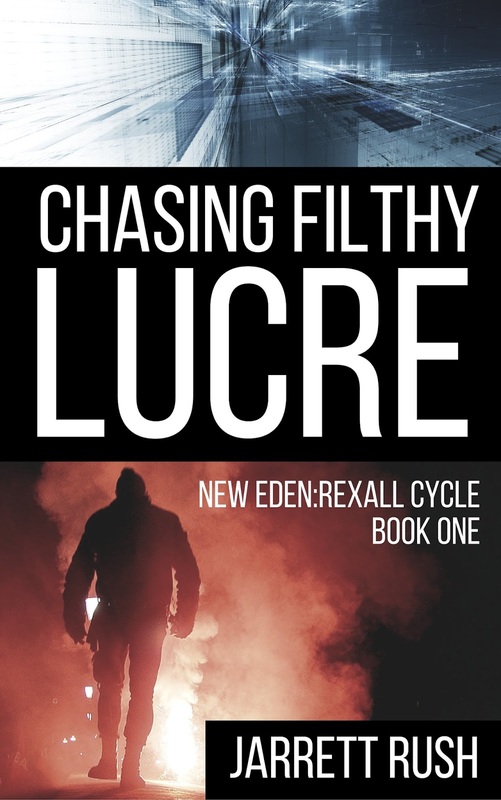 Get your copy of Chasing Filthy Lucre here. Get your copy of Finding Faded Light here. We just got back from a quick trip to Kansas City for a family wedding. It was nice to get up there for a happy event. The last two trips have been up-and-back affairs for funerals. Never enough time to get quickly reacquainted with my hometown. This time, though, we had a little bit of extra time, and I got to show the girls the houses I lived in, the school I attended. Ellie even got to play at the park I played at as a kid. It was fun. The thing that was somewhat remarkable to me, as it was the last time I was up there and was able to see some old familiar places, was just how much I still knew the are of the city that I grew up in. I could find my way around. I could find landmarks without the help of a map, or much help at least. I've been thinking a lot about book stuff lately. Honestly, I think about book stuff often, but it's more often now that I have a book release imminent (Tomorrow, in case you didn't know.). When I created New Eden I knew that it was a place that held a lot of stories, a lot of stories that I wanted to tell. To do that you need to create a world that people want to spend a lot of time in. Hopefully, I've done that. But what makes people want to spend a lot of time in a literary universe? To my thinking, and really that's all that I've got to go on, it's familiarity. It's a place that feels comfortable and familiar but leaves you with the want to explore more. Some authors create that comfort and familiarity with a character. Think Jack Reacher or Harry Dresden. Or, if you're a movie person, think the Mission Impossible franchise. There are plenty of other examples. If these stories the settings change, but you have characters who are essentially the same throughout the series. Reacher is Reacher. Dresden is Dresden. For the most part, you know what you're going to get. Even when you're away from a series for a while, you can pick up a new release and settle into it quickly. That character is familiar. There's nothing wrong with these types of series. They are obviously popular. 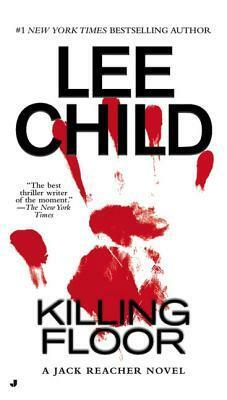 I've read several of Lee Child's Reacher novels. They are very entertaining. Ditto for Dresden. The other route is creating familiarity through setting. What this is should be obvious. The players change, but the place they are playing doesn't. 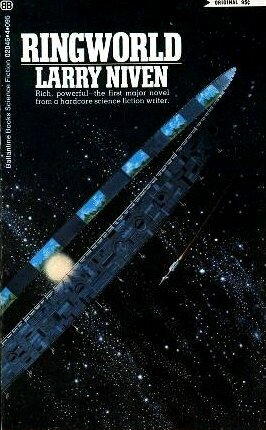 Larry Niven's Ringworld series is a popular example. In the New Eden series, New Eden is the constant. Even though we've so far focused on just two main characters — Rexall and Berger — there are plenty of other stories that can and will take place in this world. That puts it on me to create some place that readers will want to spend a good amount of time. It has to be full of interesting people and interesting places. It can't, in my estimation, be a place where just Rexall and Berger and the people connected to them live and act. I need a cast of characters bigger than that because New Eden is a city that's bigger than that. That's what I'm starting to do with these Stories from the In-between. It's a bit like concentric circles. If Rexall and Berger and their New Eden is the center, then the new characters I'll be introducing are those rings that pulse out from there. In Digi City, we get more on Jensen Miller, the Roma agent who is chasing Rexall and Berger in Finding Faded Light. He's a first ring character who has his own New Eden. He spends time in places that are familiar for anyone who has read the first two New Eden books, but he also has places that are his own. By reading Miller's story, readers get to learn more about not just him but the city he calls home. And hopefully, it's learning about these new places that will help New Eden become a place that readers will want to come back to often and will feel familiar when they do. Digi City publishes tomorrow, but you can pre-order your copy now so it'll be on your Kindle or Kindle App when you wake up. Click here to do that. Still not sold? Get a sneak peek at the first chapter here. If you follow me on Twitter or Facebook then you've seen this news. If you follow me on Twitter you've probably seen it more than you care to. But, it's not something I've shared here yet, and I really should have. I've got a new book, and it's coming out on Wednesday. What? Wednesday? Yes, Wednesday. 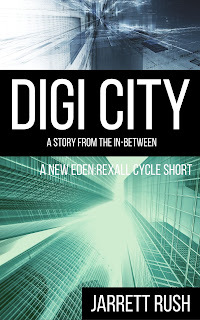 It's the next in the New Eden series, and it's called Digi City. Technically, it's a novelette if you are keeping score. That's the cover over there, although it may not be for long. I'm playing with another idea. So, something to explain. While this is the third book in the New Eden series to be released, this is not the third book in the series chronologically. The New Eden story has always been bigger than Rexall and Berger for me. There are other people populating this world with tales that need to be told. This is the first of those stories. Put the New Eden stories in chronological order, and Chasing Filthy Lucre and Finding Faded Light are one and two, respectively. Digi City is the first of four stories that falls in between the end of Chasing Filthy Lucre and the end of Finding Faded Light. So, if you were to number Digi City, it'd be book 1.2. 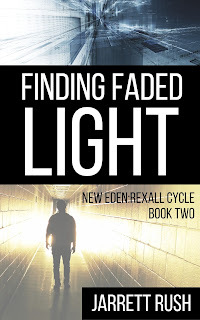 This book follows Jensen Miller, the Roma agent who chases Rexall and Berger to the Outer West in Finding Faded Light. He was always a complicated character and more interesting than he got to be the first time we saw him. Digi City fleshes him out, and, hopefully makes the world of New Eden a little less black and white. Jensen Miller has a new daughter, a beautiful wife and a relatively stable life in unstable New Eden. The fallen government and increasing number of data addicts have the city crumbling. When a group of terrorists sets off a series of explosions at the docks, the population comes together to rebuild. But a rising power, Roma Corp, uses the distraction as an opportunity to strengthen its ever-tightening grip on society. Relying on Miller, the company's top security agent, Roma starts hunting down those it fears may be working against the company. For Miller, that hunt starts in Digi City, the place most of New Eden's data addicts go to get their fix. What Miller finds there will change how he sees Roma, these data addicts, and even himself. Intriguing? I hope so, although writing the description is always the hardest part. If you thought you wanted to read more, I've put the first chapter up for free here. Click that link and check it out. If you're thinking this is a story you'd like to read, you can pre-order Digi City before it's Wednesday launch by clicking here. 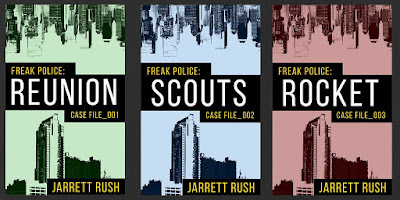 I made a quick mention on Twitter the other day that I create new covers for Reunion and Scouts, the very light urban fantasy series that has been completely ignored by readers. I'm getting some ideas on how to try and fix that. Part of it includes actually finishing the series. Part of it includes trying some new ways of branding the series. I'm going to call them "a paranormal procedural" to try and give browsing readers something to identify with. Another part are these new covers, bringing them in line with the branding I'm creating for my entire catalogue. Catalogue. Sounds so serious. But here are the new covers, including one for the third part in the series. Would love to know what you think. 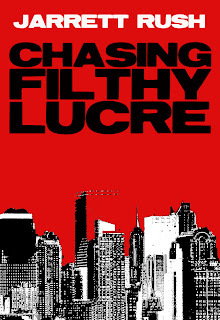 The first cover for Chasing Filthy Lucre. It was done with my minimal Photoshop skills. of the cover is below. A pretty significant anniversary passed in the middle of last month. As someone who's admitted to liking commemoration of significant dates, I just can't let it go by without mentioning it. 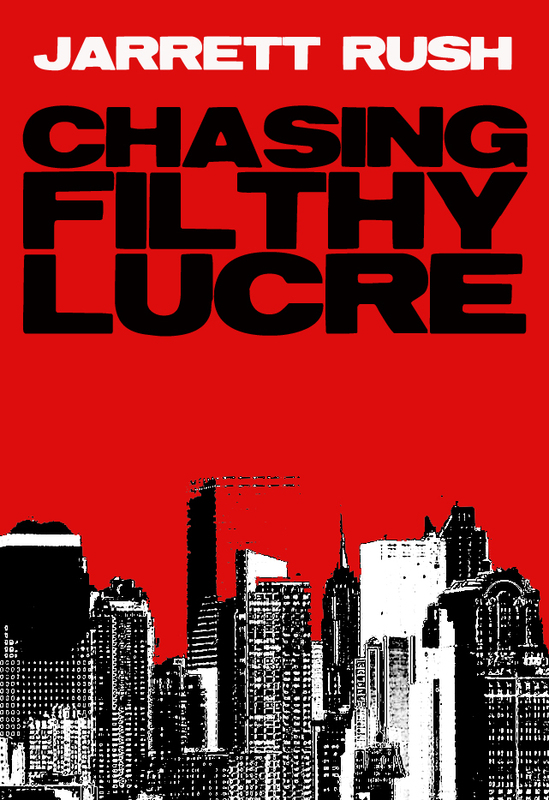 Chasing Filthy Lucre is five years old. I don't have the exact date that it was published, but it was mid March 2011. That I know for sure, because I put it up a day or two before Gina and I left for a trip over her Spring Break. It went up on Smashwords first, and I remember the moment when I got notification of my first sale. I was in line at a cheesesteak place, picking up food for me and Gina on the way home from work. Got an email form Smashwords that said someone had purchased a copy. I don't know who it was, I'm sure a friend or relative. It didn't matter, though. I got that heavy feeling — not heavy in a bad way, but more "whoa" — that you get when you realize something significant has just happened. Someone had just put money in my pocket for my fiction. I spent a good portion of our trip over the next week checking for updates to the Smashwords dashboard, and sales continued to trickle in. I think I'd hit a dozen by the time I got home, and the feeling never got old. Honestly, it still doesn't. Maybe that's because I've never broken through. I can still measure good sales months on two hands. Correction, if it takes two hands that's a pretty great month. But seeing that someone has bought a book still can be a little overwhelming. It is definitely a spirit boost. A morning sale can set a smile on my face for the rest of the day. The indie landscape is different now than it was then. Amanda Hocking hadn't happened, but she was close. There was no Hugh Howey and the Wool phenomenon. John Locke was about to explode onto the scene then explode almost as spectacularly off of it. People were still trying to figure out how to make this whole thing work. At least that was the perspective from my spot in Texas. I was also different. I was still working in newspapers without any idea that a few months later that would change. I hadn't yet become at all familiar with the ideas of marketing, or retailing for that matter. Nothing about email campaigns or mailing lists. Nothing about product funnels. Nothing about loss leaders. Well, not enough about those things to use them properly. I was just a guy who'd wanted to be a writer since elementary school who was now seeing a way, if things broke right, to actually make some real money doing that. At the time, that was enough to keep me going. That's not necessarily the case anymore. Not that I plan on quitting this whole indie thing, but I am ready to see more consistent results. I'm writing on a couple of series right now that I hope can provide those. I have some marketing ideas that I want to try out. I have some best practices that others have learned over the last five years that I want to try for myself. I still love New Eden, and I'll finish the series. But some strategies and ideas for marketing and sales can only be tried with series that don't have a five year history. But this isn't about frustrations, this is about being excited for the anniversary of the first book's release and also documenting some lessons that I've learned since then. The indie community is nothing if not helpful. We all turn around and try to help the next person up. So, with that in mind, here are five things I've learned since releasing my first book that might be of use to someone just starting out. 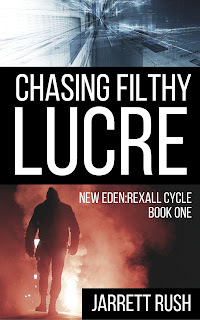 I have no real frame of reference, but I feel like the release of Chasing Filthy Lucre went well. I was able to sell a few dozen each of the first few months. I was earning a few reviews, all good. I had momentum. I had readers. I needed to get another book to them, and I choked. I started writing what would become Finding Faded Light and got a good way into the book when I realized that I wasn't telling the right story, so I went back to the drawing board. I love how Finding Faded Light tuned out, so I don't regret that part of the process. But not having a second book ready to go soon after meant I started from zero each time I released something new. All of my momentum was gone. Recognize that this is a business and you will have to wear multiple hats. One of the things that I didn't expect when I started down this self publishing path was how much attention I was going to have to pay to so many things. I think I was like a lot of others who start this. I just wanted to write books and not think about the publishing side, but this doesn't work like that. Or, it doesn't work well like that. You can always just publish books and hope they get discovered organically. They won't, but you can try it. You need to be spending at least part of your time doing the marketing work that's required to get your book noticed, because it won't happen without some work on your part. And, yes, that means getting comfortable with talking about yourself and selling others on you and your book. It does get easier, but if it's not something you're naturally predisposed to, it never gets easy. Have a plan and stick to it. This is the lesson that has been the hardest for me to learn, and I don't really know why. It seems like common sense, right? Plan your stories. Know how they fit together, if you're writing in a series (And you really should be writing in a series.) Know the release schedule. Stick to it. Know the plan; work the plan. I had a loose plan when I started and then deviated from it pretty quickly. Chasing Filthy Lucre was first. There were four books that would follow it, all of them being released over about a year and a half. Then I wrote something for a writers group that I was part of. It was fun. It had potential. So I followed my muse and published Reunion and followed that up with Scouts. I love both of those stories, and am going to do something with that series. But I shouldn't have deviated. I should have focused on New Eden stories. Series readers want to see momentum and regularity. I didn't show them either. Social media isn't as important as you think. I covered this in a previous post when I talked about three things writers get wrong on Twitter. While the examples were specific to Twitter, the concepts apply to any social platform. Social media is great for networking. It's great for making friends. It's great for finding other creative people. Beyond that, it's not going to bring you many sales, not directly. Not like many assume it will. So don't spend all of your time on social media shilling for your book. Instead, be friendly. Build relationships. Be social. This is more fun than I thought it would be. About halfway into this post, I realized it might come off as a bit negative. That's why this point is at the end. I had a bunch of false starts. I've wasted momentum. I took too long to try advertising or to start building a mailing list. But this has still been a lot of fun. I have always loved story. I've always dreamed of writing. I wrote stories as a kid, as a teen, as an adult. It's just part of who I am. And while writing stories for yourself is satisfying in its own way, there is something to seeing your work published and seeing strangers reactions to it that takes it to another level. Then there's the business side to this that's also interesting. Frustrating for sure, but also interesting. It's a hat that I spent most of my journalism career not wearing. I didn't think about things like marketing and product funnels and keeping customers satisfied. I've learned a lot more about that after I left journalism, and I'm starting to see how I can apply it to what I do as a writer. If you look at the covers for my four books over two series you'll see that they look similar. Not the same, but similar enough that you can tell they are from me. It's branding, and I'm trying it. I'm also becoming much more strategic about pricing, thinking about how I can encourage readers to buy more books with discounts. I know a lot of this is very inside baseball, and not necessarily interesting to those who aren't also self publishing. But, I said all that to say that this is a lot of fun and I don't regret any part of this journey. It's been a great first five years. If you're a reader, thanks for your support. If you're just a friend, thanks to you too. Doing this wouldn't be possible without either of you. I've hesitated to write this post even though it's been rolling around in my head for a while now. The hesitation is for a couple of reasons. First, it's critical. I don't like being critical. It's not my nature to be purely critical. I'm an editor at the day job and have no problem delivering criticism, but I try to be constructive. I want whoever is on the receiving end of it to feel like it's beneficial. I hope that this post will be seen as that, but that's really all in the reader's interpretation. So, that makes me hesitant. Second, I am going to put a spotlight square on myself and my writing by the end of this. People are going to read what I have to say and then wonder "What makes him think his stuff is so great?" Well, as a preface, I don't think my stuff is so great. A lot of what I'm about to write is directed at me too. So, with that, let's dive in. Ready? Indie authors, we are too hung up on the checklist and too many of our books just aren't very good. So, some clarifying statements then I'll dig into this a little bit deeper. What's the checklist? It's the list of things that everyone who's serious about this seems to agree you need to have a in order for your indie career to be successful: professional genre-specific covers, great blurbs, books that hit enough genre tropes, a release schedule that keeps new books in front of readers at least every few months. I'm sure I left a few thing off of that, and debating what should be on the checklist could last for days. Nothing is inherently wrong with that list. Each of those things has proven important, critical really, to success. What I've noticed, though, is that we seem to be putting more attention on those things and not as much on writing really good books. Where do I get this idea from? From reading a lot of indie stuff. I've been spending a bit of time doing some market research. Trying to figure out what is it that makes a bestseller in my genres. What are the readers responding to? I've also been reading in a few other genres that I've had ideas in. Again, trying to become familiar with the tropes and the things that readers are looking for. Not something that's necessary to do, I don't suppose, but seems like a smart thing to do. Here's the big thing that I've taken away from reading those books. The covers are great. The blurbs are good. They are priced in a way that is enticing to the reader. The actual writing, though, is just not very good. Indie authors, we need to work harder on the craft. Too many times I've seen characters who are paper thin. The dialogue they use is either unnatural or so melodramatic that it's unbelievable. Too often they have just the right skill needed to get them out of whatever situation they find themselves in. (He's trapped in an airplane hangar with his hands handcuffed behind his back and a running helicopter just outside? Good thing he flew sorties over in Iraq and also spent that summer touring as an escape artist. Granted, you hadn't mentioned any of that up to this point in the story.) The plots are either so far-fetched that they are unbelievable or so derivative that they are interchangeable with a dozen other books. Unique settings are non-existent or the writer has spent almost no time grounding the reader in the place where the action happens so the big action scene doesn't have the emotional impact that it needs to. I could go on to list a dozen other things that are wrong with many of the indie books that I've read lately, but I think my point is made. How do we make them better? The solution, as I see it, actually has two parts. The first is on the authors. There are a few things that we need to be doing. We need to be spending more time thinking about our stories. I am a big reader of Kboards and the message board there where many indie authors congregate. A lot of invaluable information is shared there. But something else that I've been seeing there a lot more lately are threads on how fast someone is trying to write a novel. They are writing quickly so they can edit quickly and release quickly and move onto the next book quickly. Speed and quality are not related. 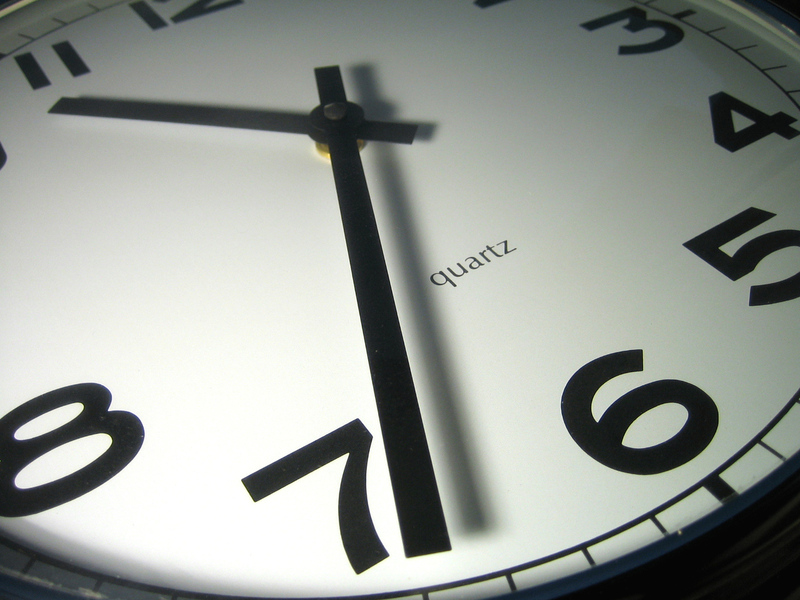 There's nothing at all wrong with writing quickly or releasing quickly. Not if you've taken the time before actually writing to make sure you know your story inside and out and that your story is unique. During that planning time is when we need to be asking ourselves critical questions that aren't going to leave us with books that read like a dozen others also in the genre. It's that planning time that will let us build characters who feel real, who have unique voices both in what they say and how they say it. It will let us create worlds that are fully formed and allow setting to be a player in the stories just as much as our characters are. I'd also argue that this planning time should take longer than you expect. Sometimes stories come to you fully formed. I've had it happen before. But more often than not they don't. You get them in bits and pieces. Take the time needed to knit those pieces into a great story. Recognize that some of those pieces may need to be changed to make them work together. And just like you should let a story sit before coming back to it, same thing holds true for an idea. Let it sit before you dive in and start writing. I really feel like that's the biggest problem. It's not a lack of creativity on the part of most indie authors. I think most of us have that in spades. We just don't give that creativity enough time to come out. The second part of this solution falls to anyone who is seeing these stories before they are published. That could be beta readers. That could be professional editors. It doesn't matter who. Both groups need to push authors harder for originality. Push harder for believable dialogue. Push for better everything. Whether or not you're being paid, if you're in a position to deliver critique, be critical. Flag those areas that feel derivative. Flag those areas that feel underdeveloped. Flag those areas that feel unbelievable. A good writer will want that from you. Yes, it stings sometimes, but you have to be OK being the person who make the writer cringe a bit. Like I said up top, a lot of this was written for my own benefit. I have plans for a new series that I'm working on. I've been thinking a lot about the checklist. I've already built some covers and the first book isn't even finished, for goodness sakes. Obviously, my cart is miles ahead of my horse. I need to do better about focusing on the most important part of an indie author career, the authoring. I decided to share this overly long post, though, because I didn't think I was the only one who needed to hear it. Hopefully, I delivered it in a way that wasn't offensive. And, I'd love to hear your thoughts. more than happy to do a critique or offer thoughts on something, but I never saw myself as near enough of an expert to confidently tell people how they should or shouldn't write. Besides, I didn't create this blog to talk to other writers. That wasn't my goal. Today, I'm breaking that rule. Sort of. Something that I keep seeing over and over the last few years is authors having no idea how to use Twitter. They will talk in Facebook groups or online forums about how they post links to their books but see no sales from it. That's because they are expecting something from Twitter that it will never deliver. Twitter is not a sales tool. No social media is. At the best, social media will create interest. So, if you are using social media to drive sales you're doing it wrong. Delilah Dawson had a great post on social media and marketing recently. The takeaway was that expecting any of the channels to bring in reliable sales is foolish, because social media is about pushing content out to readers. What we should be concerned with as writers is pulling in readers and creating fans. She's right, but I don't think that means writers can ignore social completely. There's still value there once you get past the idea that you will be able to connect sales to posts. So, here are some things to keep in mind from someone who can loosely say that I get paid to do this stuff. (The day job that pays the bills is in marketing. While I'm not on our agency's social media team, I sit very close to them. And I do know the principles.) With that, here you go. Your feed on Twitter -- and, therefore, the feed of the people who follow you -- is like a river. It's constantly moving. For the people who follow you to see your tweet they have to be standing on the banks at the time it passes by. There will never be a time when all of them are there at the moment you send a message. That means even if you have 1500 followers on Twitter, 1500 people aren't seeing your tweets. I've seen some data from Twitter on my own account. I have roughly 1500 followers and the number of impressions from each Tweet was surprisingly low. Most of them never hit triple digits. This is the thing that might drive me the craziest when I see people write off Twitter wholesale. Granted, it may not be for you. That's fine. Not every social media platform is for everyone. But don't write off Twitter without actually using it to be social. Tweet at people. Respond to what they are saying. Offer your thoughts on topics of the day. Offer your thoughts on that book you just read. Offer your thoughts on anything. And when someone inevitably responds to those thoughts, engage with them. Be judicious about who you follow. It can be tempting to follow back everyone who follows you. Most people are hoping you will, because they are collectors. They aren't interested in what you are saying. They aren't interested in asking about your book. They want followers who they can shout to. If they seem to be shouting something you're interested in then follow them. But you aren't obligated to follow everyone who follows you. I had this mentality when I first joined Twitter. Then I realized that the only people following me were other authors, and we were all shouting "HERE'S MY BOOK! HERE'S MY BOOK!" at each other. That's when I started culling the people I followed. Not coincidentally, that's when I started to get more out of Twitter. That's it for now. Three quick thoughts. And since we are talking Twitter, you can find me here @jarrettrush.